* entire 2 bedroom/1 bathroom (2 queen size beds, and 1 high-quality - American Leather . Comfort Sleeper sofa-bed in living room)) . Perfect for business, group or family travel. 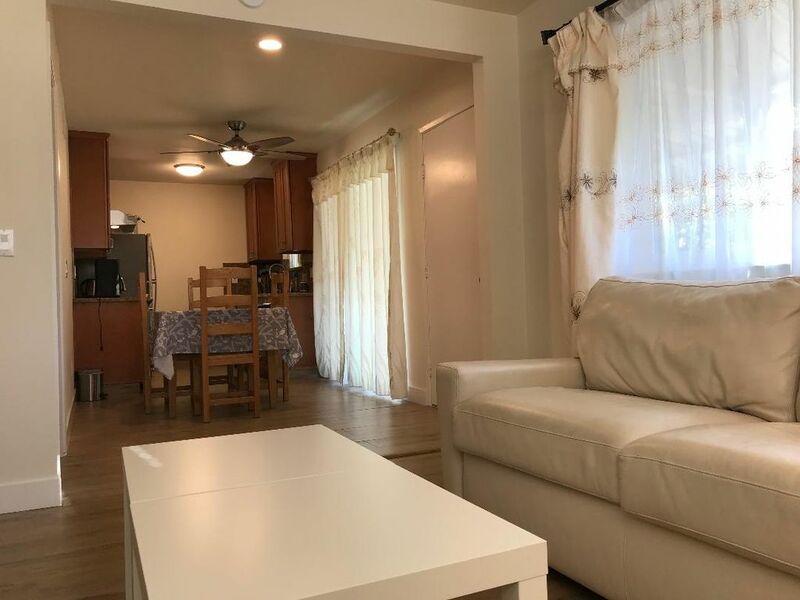 * Close to San Jose Airport, Levi's Stadium, SAP Convention Center, Great America. * Close to Silicon Valley companies: Apple (2 miles), Intel (5 miels), Google (6.5miles), Facebook (15miles), eBay (3.5miles), Adobe (5miles), etc. * Close to many universities and colleges: Stanford University, Santa Clara University, San Jose State University, Santa Clara Univ, William Jessup University, De Anza College, Foothill College, , West Valley College and Harker's Upper School. * Close to Westfield Valley Fair shopping center, Santana Row, and surrounded by restaurants. * Stays of over 31 days do not incur San Jose hotel tax. The place was spectacularly clean and comfortable. We went out for my husbands birthday and they left a nice card and some wine as a greeting gift. The owners were easy to contact and quick responders. The place was really close to a lot of restaurants, stores, etc. and very close to multiple freeway entrances.